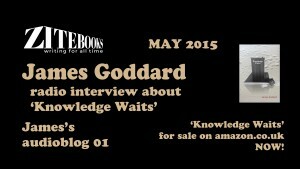 So, two months since ‘Knowledge Waits’ appeared and what now? 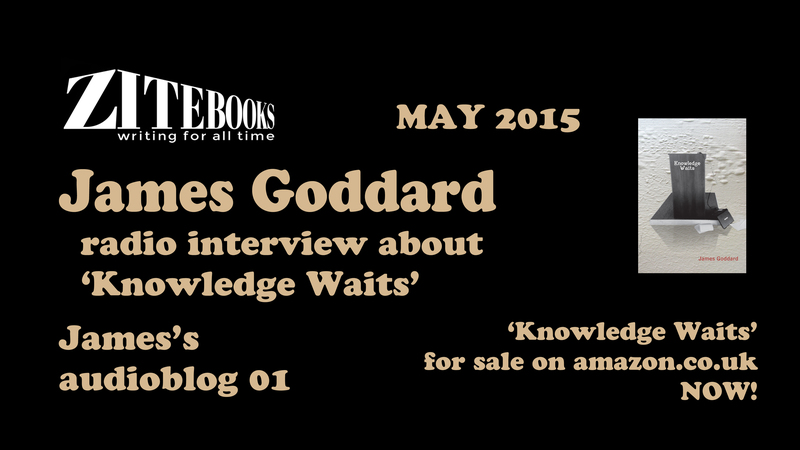 Well last week I did a piece at a local radio station, and since then ‘Knowledge Waits’ has plummeted down the Amazon charts! Not that I ever imagined that a quick interview and reading an extract on a local station might launch me into the national bestseller lists, but it was an interesting and instructive experience. Having to talk about the novel to listeners who knew nothing about it proved a salutary exercise, as did finding an extract to read from it. I wanted to use something from one of the Gerry sections but the character’s incessant foul language made this impossible. Community radio at ten past five on a Sunday evening isn’t really the time or place for one of Gerry’s tirades. Someone might be listening. It was also difficult choosing a passage to read for other reasons. Any part of the meeting that closes the novel seemed to require too much of a gloss of what had already passed and by choosing any of the characters’ first person narratives I would be giving a taste of just that character, thus denying listeners any sense of the other voices in the novel. I enjoyed the recording and it certainly made me think about other ways to present the novel to different audiences. Many thanks to Lisa Kennet from Swindon 105.5 FM for taking the time to interview me and for putting the clip in her show.